It was 2014. I had just arrived in Canada, and because I still considered my self a tourist back then, and I technically was a tourist, I had to do touristy things. And visiting Niagara Falls is one such thing. And it was only 1 CAD back then on the Megabus. Plus 1.50 CAD in fees, but still dead cheap. But because I’m not your typical tourist, I did things a little different. Due to there still being ice in the Niagara River at the time, the boats into the falls weren’t running yet. 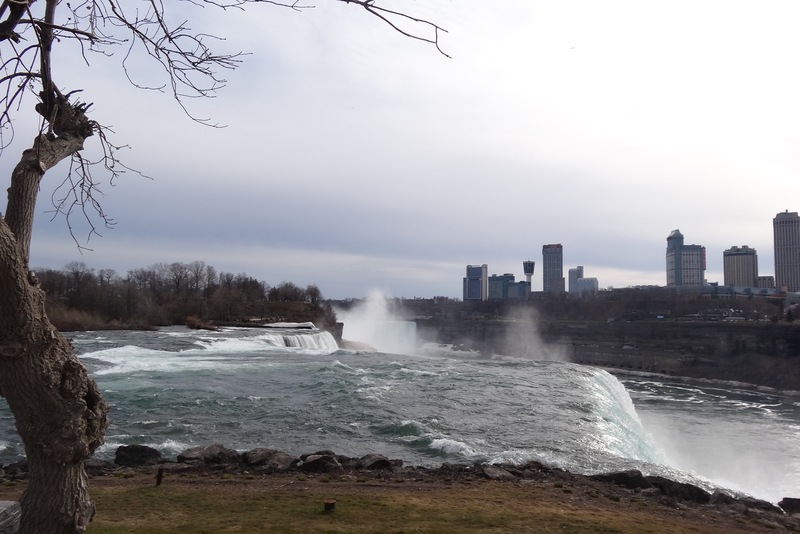 And so, to get a better view of the Horseshoe Falls, I decided to cross the border into the United States. Sadly, I lost that picture. I was also asked some weird questions at the border checkpoint by some US customs agent. Once in the United States and after walking around for a while, I got hungry. So that was also the first time I ate at a Hard Rock Cafe. And I found out that I had forgotten that you need to be 21 to drink alcohol. I was only 19 at the time. I left for Canada again after just a few hours. I got bored and wouldn’t have had anywhere to sleep, but at least I had gotten rid of that 100 USD bill I had gotten for my 19th Birthday. I took this video on my second trip to Niagara Falls, I went there again because I wanted to take the boat.